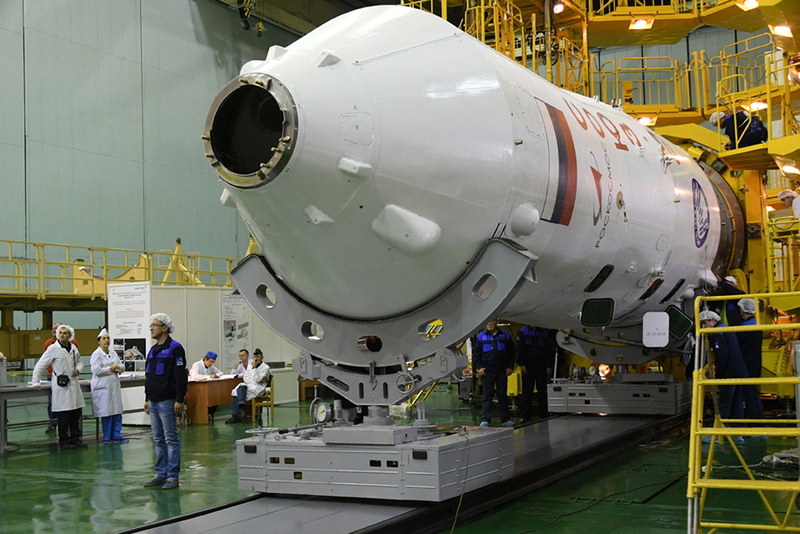 The “Soyuz MS-11″ spacecraft is being prepared for launch under the International Space Station program. 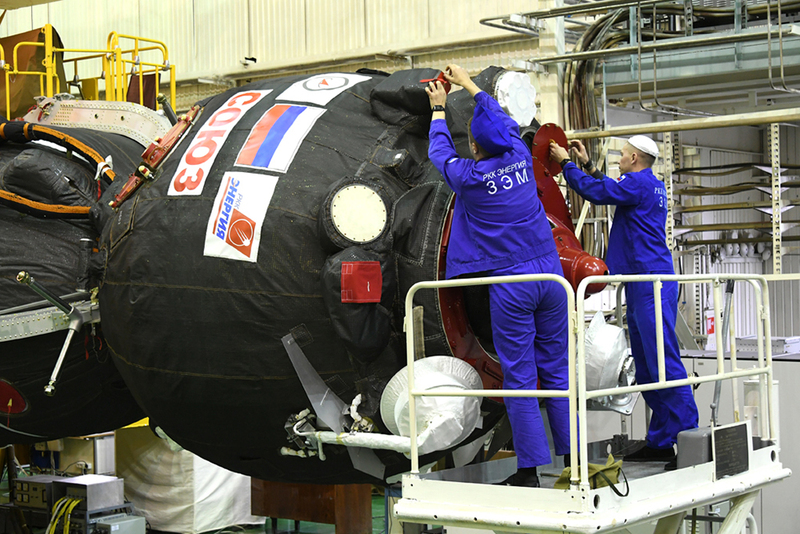 Experts of RSC “Energia” in the assembly and test facility at the Baikonur cosmodrome inspected the “Soyuz MS-11″ spacecraft and performed technological operations to roll the head fairing of the “Soyuz-FG” launch vehicle. 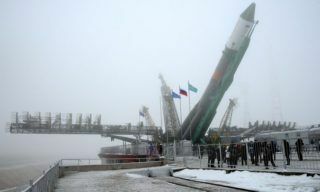 In accordance with the schedule of preparatory work on Thursday, November 29, the “second fitting” will take place – the main and backup crews will conduct a vehicle inspection in the launch configuration, and then the head unit with “Soyuz MS-11″ spacecraft will be transported to the launch vehicles installation and test facility for general assembly with a rocket. 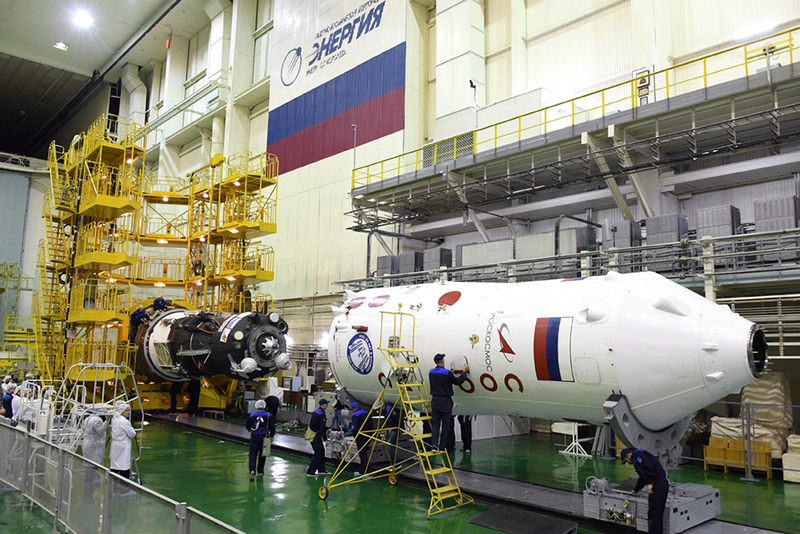 The launch of the “Soyuz-FG” launch vehicle with “Soyuz MS-11″ spacecraft is scheduled for December 3, 2018, from the launch complex number 1 (Gagarinsky start) of the Baikonur cosmodrome. 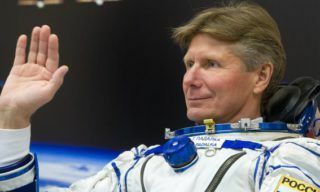 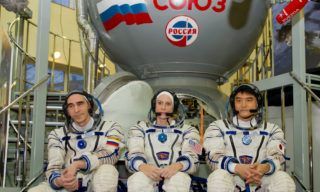 The main crew of the ISS-58/59 expedition is Roskosmos cosmonaut Oleg Kononenko, CSA astronaut David St. Jacques and NASA astronaut Anne McClain. 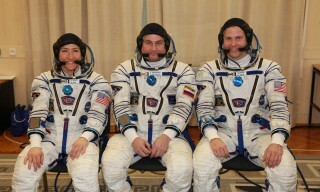 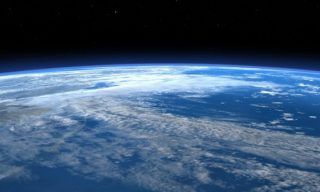 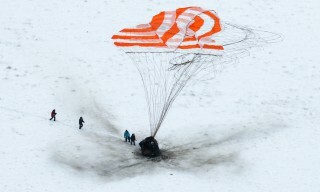 Their backup team is Roskosmos cosmonaut Alexander Skvortsov, ESA astronaut Luca Parmitano and NASA astronaut Andrew Morgan. 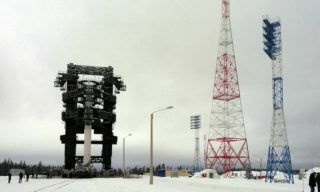 RIA Novosti – A full-scale mock-up of Russia’s first large post-Soviet rocket has been rolled out to a launch pad at the Plesetsk space center….